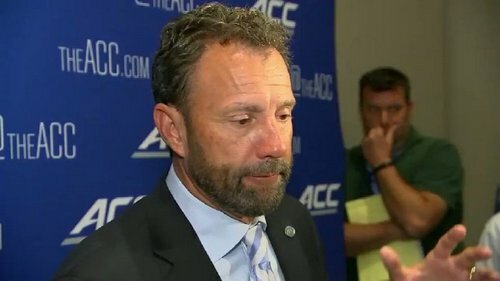 University of North Carolina head coach Larry Fedora believes the rule changes implemented in recent years to limit head injuries and make football less violent could have grave consequences for the sport – and America’s military. Fedora illustrated the point by recalling a conversation he’d had several years ago with a three-star Army general who attributed the success of the US military to football. Fedora also questioned the scientific evidence drawing a connection between football and chronic traumatic encephalopathy (CTE), the progressive degenerative brain disease that’s been linked to repeated blows to the head, saying that the game “is safer than it’s ever been”. In 2016, an NFL official acknowledged a link between football and CTE for the first time when Jeff Miller, the league’s senior vice-president for health and safety, spoke about the connection at a discussion with the House committee on Energy and Commerce. “When I started playing the game, it was all about the head,” Fedora said “You were going to stick your head into everything. And as we’ve learned and we understand the dangers of what’s going on in the game of football, you slowly have taken the head out of the game. And so all the drills that you teach, all the tackling, all the things you do, you do it with the head out of the game, to keep the head away from the impacts. After his formal availability Fedora returned to clarify his points regarding the link between football and CTE, though his follow-up remarks were anything but a backtrack.